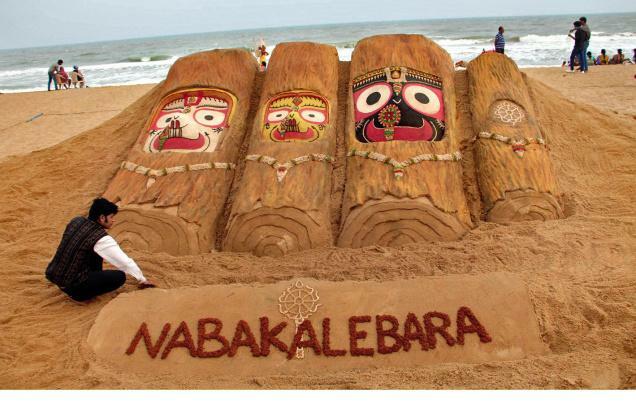 The Nabakalebara mobile application was launched by Odisha state chief minister Naveen Patanaik on May 14, 2015. Over 500 persons across the world have downloaded this app. Through this mobile app you can learn more about Puri mega festival said IT Department secretary Pradeep Kumar jena. According to official data this app is downloaded in Italy, UAE, Russia, Bangladesh, Canada, UK, USA, South Korea, Nepal and Tanzania over 200 people. This mobile app contains details of Nabakalebara, its significance and history, colorful pictures of Jagannath Temple, Information on the temple's daily rituals, helpline number of police and route chart of Puri also fed in the app. This app was available for android based smartphones only.